Tucked right outside the city limits this former farm affords buyers the luxury of country living with the convenience of being under 2 miles from I-69 and 1.4 miles to M-53! The home has been kept in pristine condition over the years. 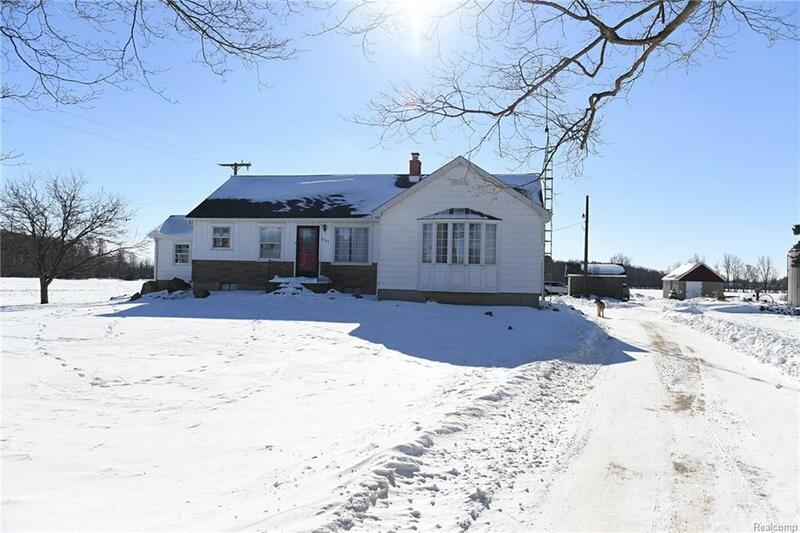 Complete with a 3 car garage and a Hay barn this property is any hobbyists dream! The hay barn was recently converted and used as a shabby chic wedding venue for friends and family. Extensive landscaping provides extra character to the property. Are you looking for a Pinterest project? Look no further than the Silo! The interior of the house has been recently updated including new furnace, freshly refinished wood flooring, fully remodeled bathroom, and partially finished basement! What a perfect place to call home! Call today for a private showing!